Paige Sensenbrenner’s litigation practice focuses on health care-related cases, including pharmaceutical and medical device products liability, pharmaceutical pricing claims, insurance fraud, toxic torts and medical and accounting malpractice and fraud. Many of these claims involve class actions and complex litigation. Additionally, he defends clients in cases that stem from issues such as radiation exposure and levee failure in the wake of Hurricane Katrina. Paige’s practice also encompasses government relations on behalf of health care entities, insurance companies and pharmaceutical manufacturers. He testifies before government committees and performs substantive government relations work, helping craft legislation to solve a specific problem or set of problems for clients. Paige frequently lectures on legal issues, often with a focus on the health care and pharmaceutical industries. With a deep understanding of cutting-edge genomic and genetic issues and related technology, Paige makes presentations to national groups about the use of this type of evidence in product liability claims. He also advises companies on the consequences these matters may hold for their businesses, including possible impacts on manufacturing and marketing and the need to alert employees about potential harm stemming from applications of this evolving science. Paige’s own nursing background informs his health care-related legal work. 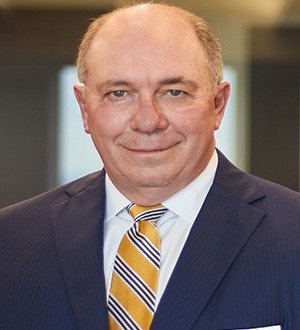 He serves as outside general counsel for the Louisiana Organ Procurement Agency and the Louisiana Cancer Research Center, a rewarding role in which he can assist those “doing the work of the angels” by saving people’s lives. Paige is the Senior Partner in Charge of the firm’s New Orleans office. Loyola University New Orleans, B.S.